Create a better urban forest by blending a passion for trees with a passion for excellent craft beer. Now is a great time to adopt-a-tree! Water a Minneapolis tree and get brews for free. Click on ﻿the adopt-a-tree logo﻿ to find a tree near you! Brewing a Better Forest has over 10,000 trees available for adoption today! Trees benefit from additional watering in the first few years after planting. Urban soils are often compacted and don't always hold a lot of water. Boulevards are narrow with limited rooting space. You can help! If you love cool shade, oxygen, and beautiful tree lined streets become an adopter today and get free beer. Wow! We ask that you water your adopted tree weekly when soils get dry. We send out reminders so you know when your tree needs water. The next growing season you can adopt a tree again for more free brews. You must have a Minneapolis address to participate. You don't live or work in Minneapolis? We happily accept monetary donations to help fund our program. Make a tax deductible donation here or Adopt-a-Tree Today! When you adopt a tree you always get a brew for free! "Water a tree, Brew for Free"
Minneapolis Arbor Day Is Coming Soon! What does one do at Arbor Day? The award-winning festival is full of tree-themed activities and educational opportunities, music, games, food, beer, and of course planting new trees! Anyone can help MPRB Arborists plant 200 new trees. The event will be held in the area of the park between Wirth Lake Beach and JD Rivers’ Children’s Garden, near the intersection of Glenwood Avenue and Xerxes Avenue. Activities include: Tree Planting, Tree Climbing, Tree-themed Games, Nature Play Course, Food Trucks, Live Music, and More! Click for more details. Brewing a Better Forest will of course have lots of beer on tap from our Minneapolis brewery partners! So come have a tasty brew and help support Brewing a Better Forest get young trees watered and teach folks about the importance of urban trees. 100% of the beer garden profits go directly to Brewing a Better Forest! 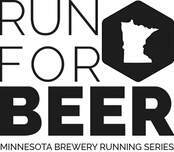 Minnesota Brewery Running Series Arbor Day Fun Run -Through the park! Special Thanks To Pat's Tap! Pat's Tap has been critical as a partner with Brewing a Better Forest. They assist in so many ways to help put on our annual Arbor Day Beer Garden. Without Pat's Tap Arbor Day would be a lot less hoppy. So a huge thanks goes out to Pat's Tap for being such a great friend to BBF, Minneapolis and the trees! Thanks Pat!!! Be sure to stop in to Pat's Tap for a tasty meal, some beer or one of their craft cocktails. Don't forget to tell them that you appreciate them supporting Arbor Day, Brewing a Better Forest and the Minneapolis Park and Recreation Board. Check out this short video the Minneapolis Park & Recreation Board has made about how trees benefit our city. Thanks MPRB for taking care of our urban forest! When making a purchase on Amazon.com, first logon to "smile.amazon.com" and designate Brewing a Better Forest as the charitable organization that Amazon will donate 0.5% of the price of your eligible AmazonSmile purchases to. Thanks!